If your looking for some fun talent shows that are actually worth watching then today we have something for you…. Jim Henson and the company he founded are most famous for the creation of the Muppet’s but also for being the foremost puppeteering company in known history. 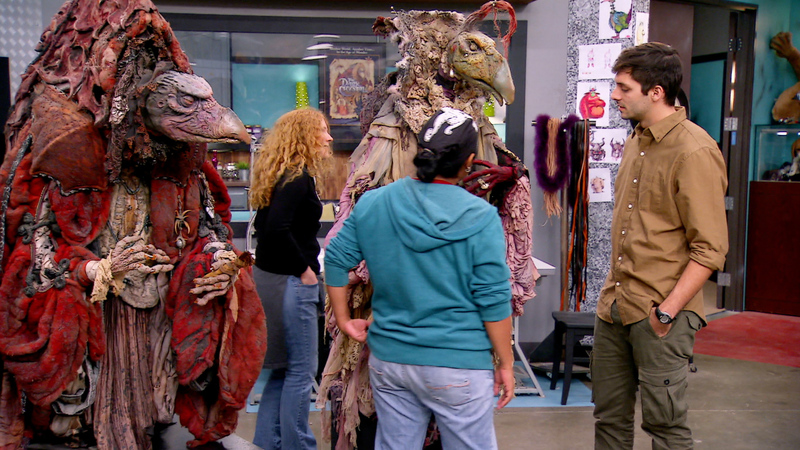 In the new show created by the Jim Henson company, “Jim Henson’s Creature Shop Challenge.” A group of Creature Creators compete against each other to create puppets and animatronics such as those found primarily in science fiction and fantasy. Actress Gigi Edgley who played Chiana on Farscape, serves as the show’s host. 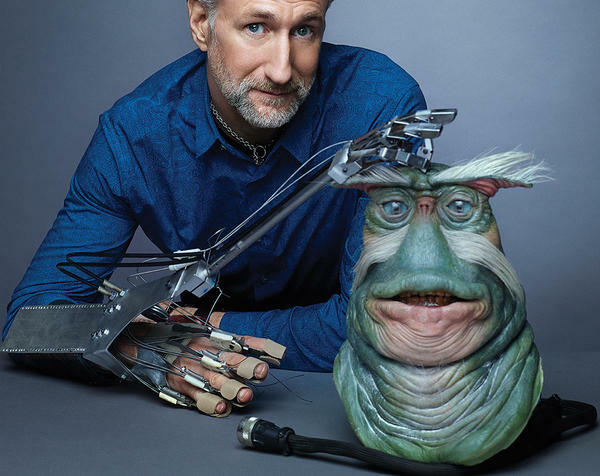 The judges evaluate the creature designs on the Henson Sound Stage every week and the contestants are eliminated one by one by Brian Henson. The winner getting $100,000 and a contract for working at Jim Henson’s Creature Shop. and Production designer Kirk Thatcher who worked on Return of the Jedi, E.T. The Extra-Terrestrial, and Gremlins. Throughout the series the contestants are also Mentored by Peter Brooke, Julie Zobel, John Criswell. Robert Bennett – Sculptor for Walt Disney Imagineering from Orlando, Florida. Chaz Vance – Special-effects and entertainment designer from West Falls, New York. Tina Roland – Freelance effects artist from Hollywood, California. Josh Smith – Creature costumer and prop builder from Minot, North Dakota. Ivonne Escoto – Freelance special-effects artist from Los Angeles, California. Lex Rudd – Puppet and creature costume-maker from Guerneville, California. Russ Adams – Special-effects artist and creature creator from Ogden, Utah. Jake Corrick – Student and sculptor from Belle Vernon, Pennsylvania. Melissa Doss – Housewife and freelance special-effects artist from Fort Wainwright, Alaska. Ben Bayouth – Freelance special-effects artist from Woodland Hills, California. There appears to be no sensible way to watch the show in the UK at the moment. Although it may air on Syfy a lot later at some point. 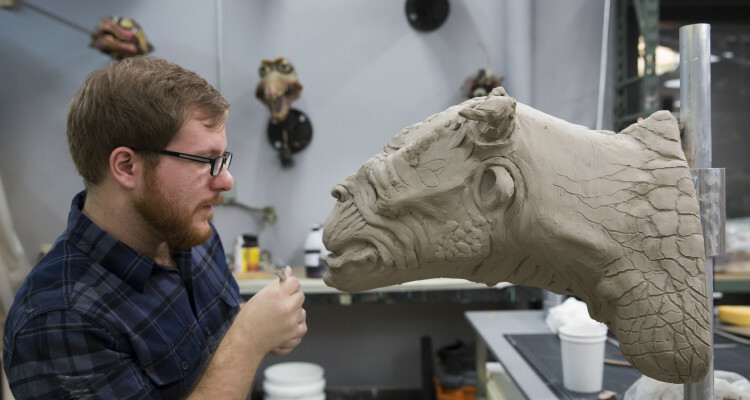 If somehow you are unaware of Creature shop at Jim Hensons work be sure to check out Farscape, Labyrinth and The Dark Crystal for awesome examples of their work! If your in the mood for more nerdy talent show stuff you can always try the penny arcade comic version, strip search. Available entirely on their YouTube channel here. While living in a large pineapple-themed house, a group of artists are given a series of challenges in each episode ranging from creative to legal to physical, with the winner(s) of each receiving a prize. The winner of the last challenge each day must choose two of the artists to go head-to-head and compete to stay in the game. The chosen must then meet the Penny Arcade creators, Mike Krahulik and Jerry Holkins, and before them they draw two random ideas written on scraps of paper then have to create an original comic strip based on the selected concepts. The winner goes back to the house to continue competing while the loser is eliminated. Abby Howard, Junior scientist power hour webcomic artist. Amy T. Falcone, CLique refresh. Nick Trujillo, Mynt condition comics. Ty Halley, the secret life of a journal comic. Hopefully we have given you a new worthwhile replacement for the other seemingly talentless, talent shows that plague television these days. If you have any suggestions of similar concepts that we or others may be of interest as always you may leave a comment or send us an email at contact@nerdeyesonly.com. This entry was posted in Nerd News, Nerd Tv, Youtube by Nerd Eyes Only. Bookmark the permalink.